Life lessons learned in the garden. I have found that over the years my garden has taught me many things – some cliche and other lessons are quite profound. 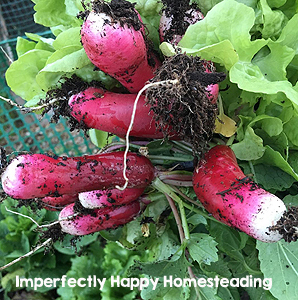 Today while I was sitting on the patio staring out at one of the best late spring gardens I’ve ever had (think freaking hot summer everywhere else, thanks Phoenix), I came up with these 10 awesome life lessons learned in the garden. Planning in life, planning in the garden – both pretty critical if you want to succeed. You have to know what your goals are so you make a plan to achieve them. In a garden you don’t just scatter seeds about willy nilly…not if you want to have any real results. You make some sort of plan out for where each seed will be planted, at what depth and how far apart…if we only gave our lives such detailed thought. Beauty is to be appreciated, sure; but some beautiful stuff is down right deadly. In life we must learn to appreciate beauty but know it isn’t everything. Ask a vegetable gardener about gorgeous butterflies and birds…they are a wonder to see but can wreak havoc in your garden. If you haven’t made a mistake in your garden, you must not have been gardening long. Every garden will have pests, underwhelming harvests and death. But I know I’ve learned something from every mistake I’ve made. I have also learned to reach out to other gardeners (as we should reach for wisdom in life) and ask for help. I’m not saying I’ve never repeated a mistake but I’m getting better all the time. The bible talks about building your house on a rock for a strong foundation. A garden’s foundation is good soil. Without a healthy foundation it won’t matter if you have organic, non-gmo seeds; you can’t throw those babies in sand and hope they’ll grow. In life, as in the garden, we need a strong foundation to grow and achieve our goals. Many of us didn’t get that growing up but we can bring in some healthy people, faith, books and such to “fertilize” our foundation until it is ready to support life. Cliche of all cliches but it is a cliche because it rings true! If you sow good organic seeds in that healthy foundation you are going to grow amazingly healthy food to nourish you and your loved ones. In life we need to sow the sort of goodness we want to grow (love, respect, charity, goodwill). Here in Phoenix I do not grow salad greens in the summer. 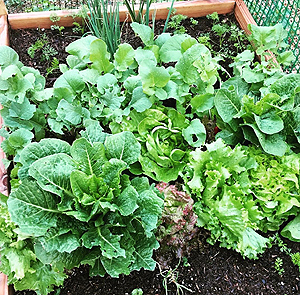 Most of the country is planting and harvesting their salad greens in the summer months, but I grow them in the fall and winter. So if I based my garden (aka my life) on everyone else’s timing my garden and efforts would fail. Those tender greens would literally burn up in the scorching 110 (+) degrees and nothing but frustration would be grown. In the garden, as in life, we need to know the timing for our pursuits may not be the same as someone else’s. Diversity is key to a healthy and vibrant life. In the garden if we continue to plant only one or two things in the same space, year after year, it will cause disease and pests to become rampant. 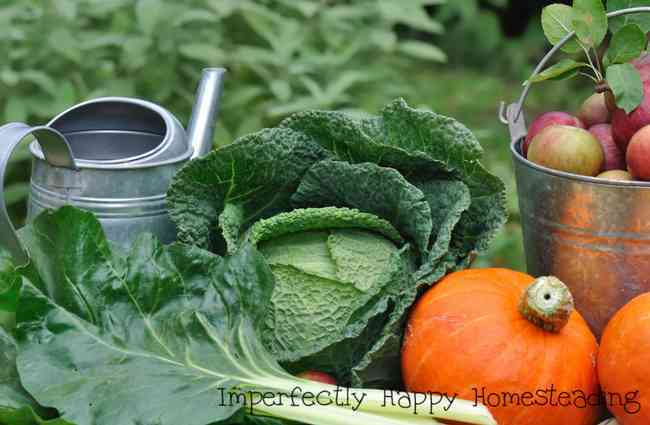 Variety in vegetables, fruits and herbs brings vibrant life to the garden by feeding in what the last crop took. Life gets boring in black and white – add some color and diversity to spice it up! Location isn’t just important – it is everything. Some plants crave all day sun, while others need a little shade to grow properly. We need to be in the right location in life to grow and succeed just like our vegetable gardens. Sometimes you have to play around with the perfect place to put that raised bed; but once it is right you just know it. Stop and Smell the Roses Dang It! Sit on your porch, sip your coffee and admire the beautiful flowers of your zucchini, chives or even the artichokes you forgot to harvest. Sure, they might not smell as good as the roses but they should be admired for the stunning displays they make. Even a purple cabbage can be ornamental. Life is short, don’t be so busy that you miss the stunning awesomeness all around you! My garden has given me many lessons in sharing my abundance. There is nothing like sharing tomatoes, zucchinis, carrots or other garden deliciousness with a neighbor. Sure, I worked hard for that harvest but sharing it with someone who is blessed to enjoy it gives me a lot of joy. Well there are my 10 awesome life lessons learned in the garden, and a bonus lesson. 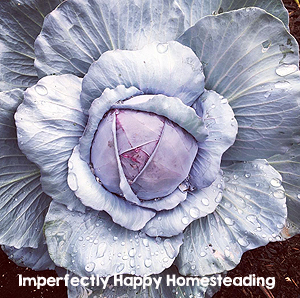 What has your garden taught you? of a comfortable living from a small piece of land. « So Your Spouse Doesn’t Want to Homestead Now What?